KSAT (Kongsberg Satellite Services), based in Norway, recently signed a new contract in Silicon Valley with Mountain View-based Astro Digital, a company founded on enabling big data analytics from space. Astro Digital and KSAT worked together to bring this new Ka-band capability into the KSAT Lite portfolio. They have created a cost-optimized Ka-band solution, in line with X-, S- and UHF/VHF solutions. The result is a commercially available Ka-band asset designed for high throughput and at an optimized price point. KSAT’s uniquely positioned ground stations—spanning from 78 degrees North in Svalbard, Norway, to 72 degrees South in Antarctica—offer coverage that few can match. 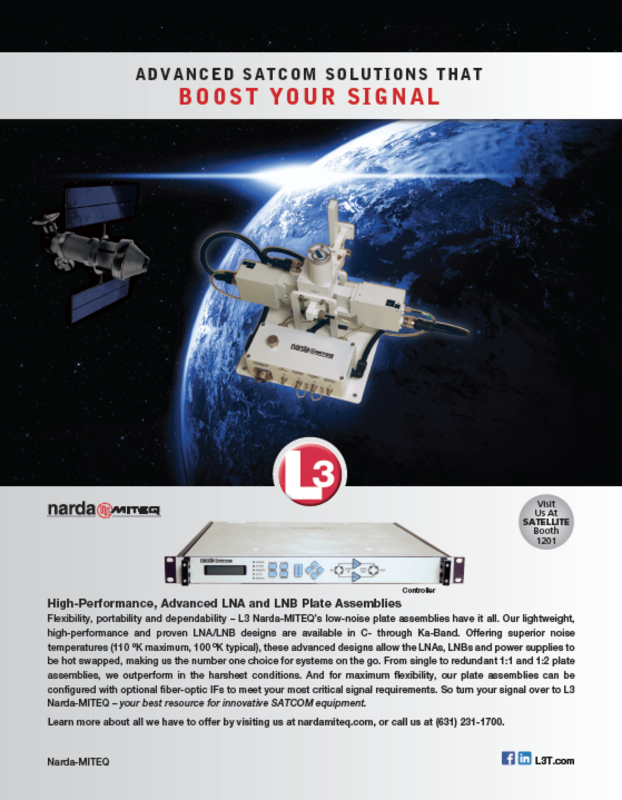 KSAT Lite, the ground station network optimized for smallsats and constellations, allows affordable access from any point in the world. constellation of satellites from their office located in the NASA AMES Research Park. This company has designed a system for maximum throughput of data from space to Earth, with the KSAT Lite ground stations a critical component of this system: they enable data deluge from space, all the while keeping costs in line with the scale of data produced. Together, KSAT and Astro Digital intend to revolutionize the collection and delivery of big data. Astro Digital’s Landmapper constellation includes two satellite designs. The first is Landmapper-HD, which is a 16U CubeSat that captures the blue, green, red, near-infrared and red edge spectral bands. The second design is Landmapper-BC, a 6U CubeSat that captures the green, red, and near-infrared spectral bands. With 20 Landmapper-HD and 10 Landmapper-BC sensors in the constellation, Astro Digital will produce a global, daily feed of imagery tuned for trend and change analysis. The Landmapper constellation is tuned for large scale monitoring of crop, forest, urban, and infrastructure land use as well as on-demand applications such as disaster response and national security. Silicon Valley features everything KSAT and Astro Digital need to be successful: an ecosystem built on pioneering technologies, the most cutting-edge smallsats neighbors and a pool of talented innovators. Stig-Are Thrana, Director of Sales, Kongsberg Satellite Services—he heads Kongsberg Satellite Services in the Silicon Valley. 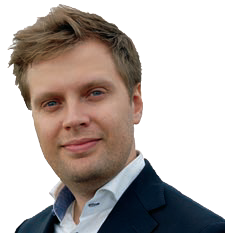 He has more than 10 years of experience in satellite and radio communications, derived from his work at Telemar, Polaris Electronics and the Norwegian Navy. Thrana received his B.S. in Entrepreneurship and Innovation from Oslo. 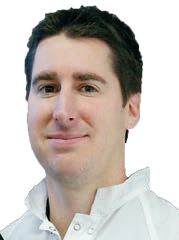 Chris Biddy, Co-Founder and CEO, Astro Digital—he is the co-founder and CEO of Astro Digital and runs operations, develops partnerships and leads the company’s overall direction. Prior to Astro Digital, Biddy led the Engineering team at Canopus Systems, directing efforts to build commercial satellite systems. Biddy received his M.S. in Mechanical Engineering from California Polytechnic State University. What is most valuable about the KSAT-Astro Digital partnership? Together, the companies are paving the way for commercially available Ka-band applications and high data rates from small spacecraft. We are innovating together from two different perspectives—spacecraft and ground infrastructure designed for high-volume data capture and downlink, as well as a business model that makes the massive data load accessible for a fast-growing company like us. We benefit from leveraging each other’s complementary technology and infrastructure. How is Ka-band different than other bands? Ka-band allows for higher bandwidth and more data to be downloaded each day. This is exactly the same as obtaining higher and higher data rates on your mobile phone and on your wireless routers over the years. The technology in our ground stations is groundbreaking. This will contribute to making Astro Digital—and their customers —successful. By building our transmitters to operate in the Ka-band spectrum, we achieve very high data rates in small, efficient packages. The high rates enable us to get large volumes of imagery from the satellite to the ground; the small packages are an added benefit because they lower the cost of our satellite and our launch. Because the cost of our imagery data is reduced, we can attract new customers in the commercial market and change the way traditional government buyers access large-scale monitoring from space. What inspired you to enter the satellite world? What was your journey? During my time in the Norwegian Navy, I started working with radio and telex systems. I learned about communication and bridge systems, particularly radio and VSAT technology, while finishing my B.S. in Innovation at the Oslo Business School. My quest for new challenges brought me to KSAT. This has been a fascinating journey. I have learned a great deal and have dealt with space businesses at every scale, from leading space agencies and world-class satellite companies to space startups. 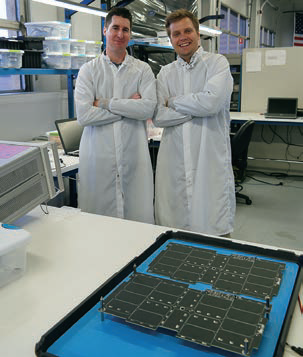 I initially brought KSAT Lite to the drawing board but, since then, the service has developed robustly, benefiting from the feedback of smallsat companies as well as the expertise of the experienced KSAT team. My business partner, Bronwyn Agrios, and I met through a shared contact in the satellite industry and quickly realized our potential to collaborate—bringing together my team’s expertise in designing small and highly capable spacecraft and her background in building mapping products. There were many highly capable smallsats, but my 10+ years of work building smallsat systems and Agrios’ product experience came together to move beyond existing solutions. We recognized the inefficiencies in the market and saw ways to optimize the remote sensing system for the life of a satellite. I like to make the analogy that our CubeSat are currently in their “Model T Phase.” Like the Model T, CubeSats are made to a standard. This standard makes Astro Digital satellites compatible with any launch vehicle available for a ride to orbit. The satellite can be designed independently of the rocket that takes it to orbit because it has a standardized size and shape. This maximizes the opportunities to get to space and reduces the time and cost to get there. How has the satellite world changed in the last five years? Wow—that’s difficult to provide a short answer, but I believe what we are seeing right now (in the LEO industry) is—from my perspective—both intriguing and disruptive. There are so many changes in so many parts of the value chain—spacecraft buses and platforms, payloads, availability of launches, new platforms on the data and downstream services—and, of course, cutting-edge ground station solutions. All of the above bring new capabilities and price points to the market. The number of competing companies has brought the cost down, allowing more efficient and faster deployment. The industry is working collaboratively and pushing its limits. Since the beginning, we have been working with market leaders, aiming towards standardization to keep future costs low. We are seeing an expansion in the user base of remote sensing data. Traditional government buyers and military applications have extended to include more emphasis on uses for commercial business. New technology makes possible solutions and business models that are attractive for commercial customers. We have been able to produce an extremely capital-efficient solution. We keep our overall costs down and create products that are accessible to both government and commercial markets. How will the satellite world change in the next 10 years? Who would dare to answer that question in print? Apart from a significant increase in constellations rather than single satellites, one trend I clearly see is that the satellite industry is no longer a “locked community” as it once used to be. Of course, the industry will become even more open over time. Different industries are obtaining a clearer vision on how their businesses can benefit from satellite information and solutions in space. The satellite industry, in turn, is searching to see how it can partner with technology from other industries to bring new value to customers. In the end, this is all about creating value to users—from improved cost points, or better access to actionable information, user friendly platforms, combining multiple sources of data/information and more. The software industry is now in space and enables this in a totally new way. I believe the space industry shares many similarities to the changes that swept through the computer industry during the last decade. The big conglomerate organizations and new space startups will find a mutual middle ground and begin to use “the best practice of both worlds.” They will not be as separate as they have been during the past years. The demand for big data has grown to staggering levels. Market growth for agriculture alone would have been unimaginable even two years ago. Close to $166 million was invested in satellite technology for precision agriculture in 2015, up 140 percent from 2014. Based on the collected data, experts now predict that global crop production must double over the next 35 years to keep pace with growing needs. Easy access to information places greater emphasis on data-driven decisions. This trend is apparent across many verticals, and will fuel innovation in the satellite industry over the next ten years. 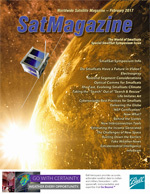 What is the biggest challenge facing the satellite industry today? One of the big bottlenecks today is launch capacity, but that might change quickly over the next year or two with the current ramp-up from existing and new launch providers. At least we hope such will be the case. Stig and I see eye-to-eye on this one. Launch is probably the biggest challenge facing our industry today. We build on the CubeSat standard so we can take advantage of the “rideshare” business model that has really improved the opportunities with existing launch vehicles. We need to see the reliability of this area of the industry to improve so that launches slipping by a year isn’t the norm. We also need to see business models for launch continue to evolve so that we’re not paying 90 percent of the launch up to as much as a year before the actual launch itself.